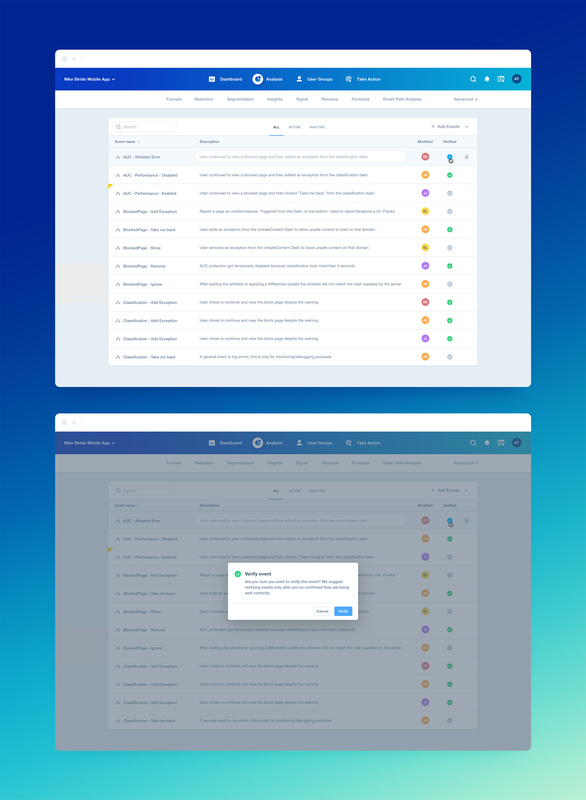 Mixpanel is a business analytics service company. It tracks user interactions with web and mobile applications and provides tools for targeted communication with them. Its tool-set contains in-app A/B tests and user survey forms. Data collected is used to build custom reports and measure user engagement and retention. 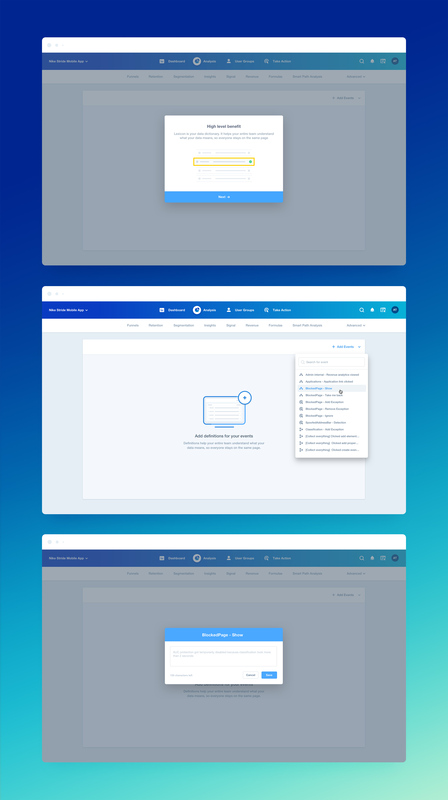 Mixpanel works with web applications, in particular SaaS, but also supports mobile apps. 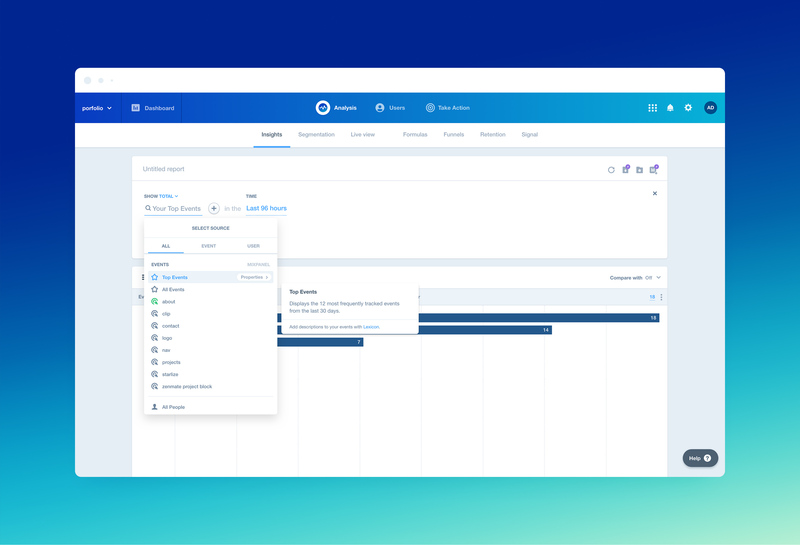 Primary in large companies with complex implementations and multiple teams, it is difficult for users to understand what the data in Mixpanel means and where it comes from, which makes it hard for them to get value from the product. Complex implementations make it hard to tell which data you can trust. After looking at both qualitative and quantitative data on churn and conducting customer interviews, we found out that people sometimes didn’t trust their data because they didn’t know what everything meant. 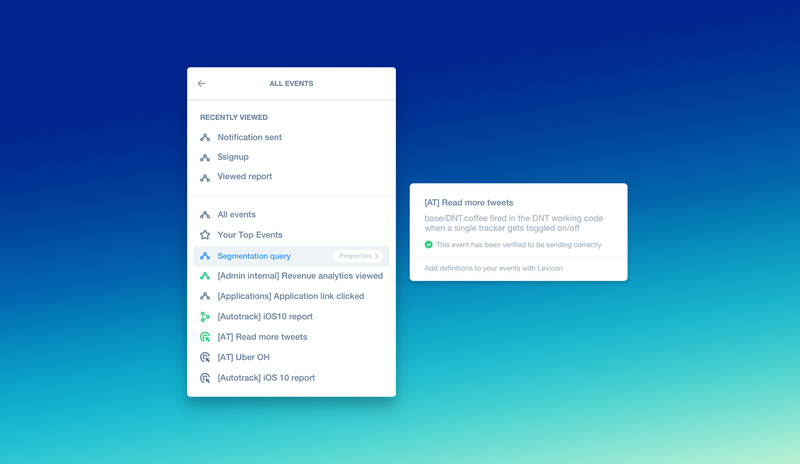 Primarily, customers needed two things: a shared language around event names, for both new and old teammates and verification that the events entered into the system were the right events. What if users did not have to work too hard to understand what each event meant? 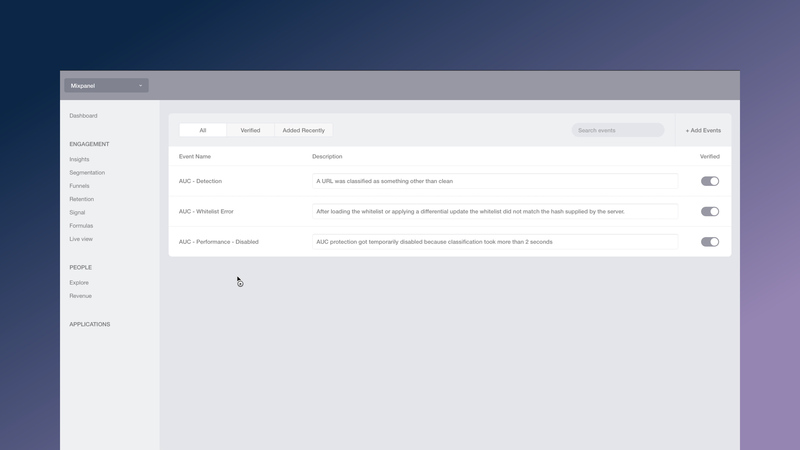 Update the Mixpanel UI to display data definitions to users in the context of an actual report. 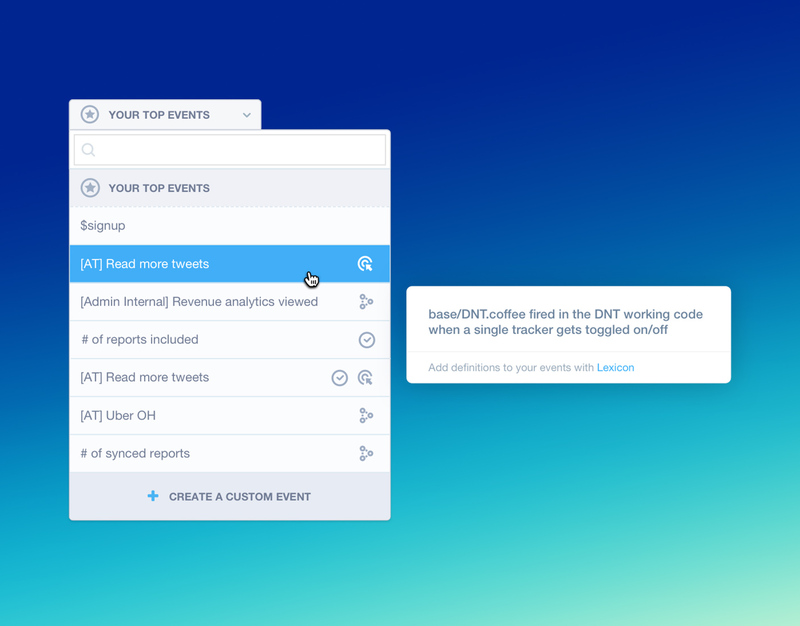 What if users had guidance for which events they could trust? Create a “data definitions” page that allows admins to share more information about each event (what action triggers it, where it is sent from, etc). 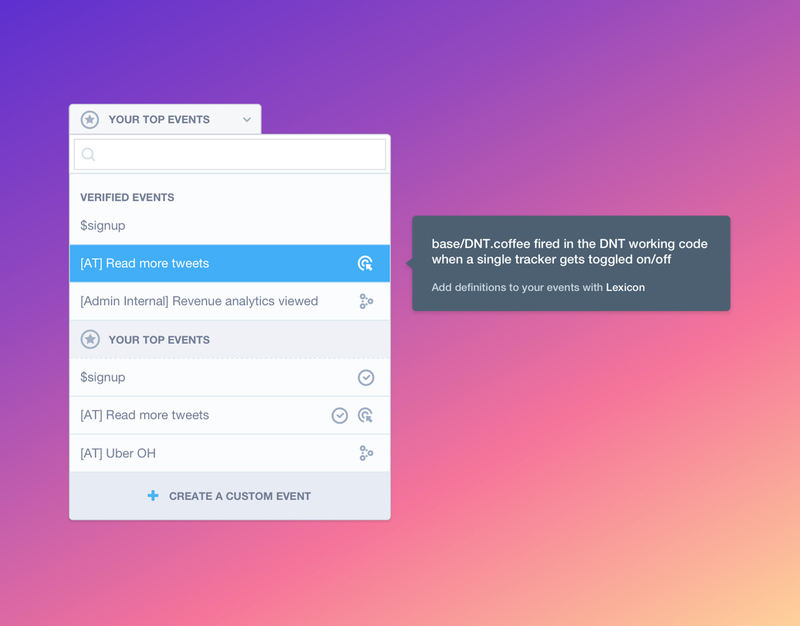 Lexicon is a data dictionary that lets you store event descriptions for everyone in your project to see. 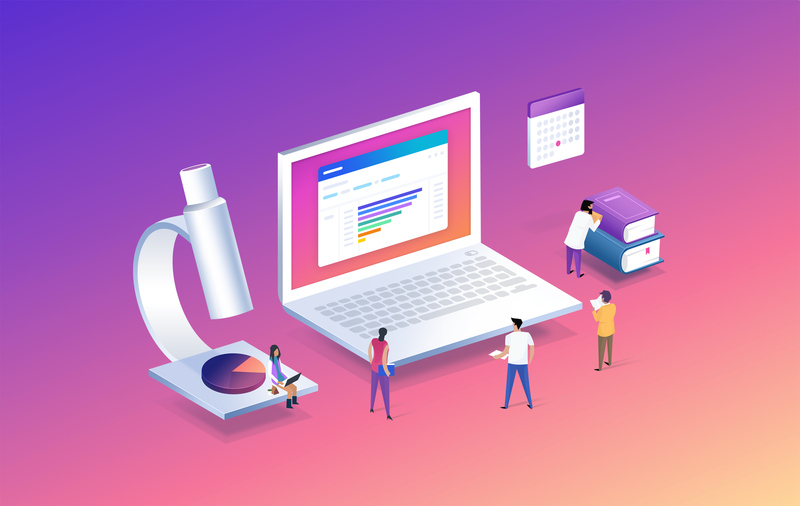 It surfaces them in Insights, Segmentation, Funnels, and Retention, so your team can pull the right data and answer product questions with confidence. Admins will be able to provide definitions for their events. An admin must select an event to add to the definitions list. The definitions list will start simple: event name and description. I created multiple explorations of micro-interaction animations and narrowed them down to two prototypes to test. 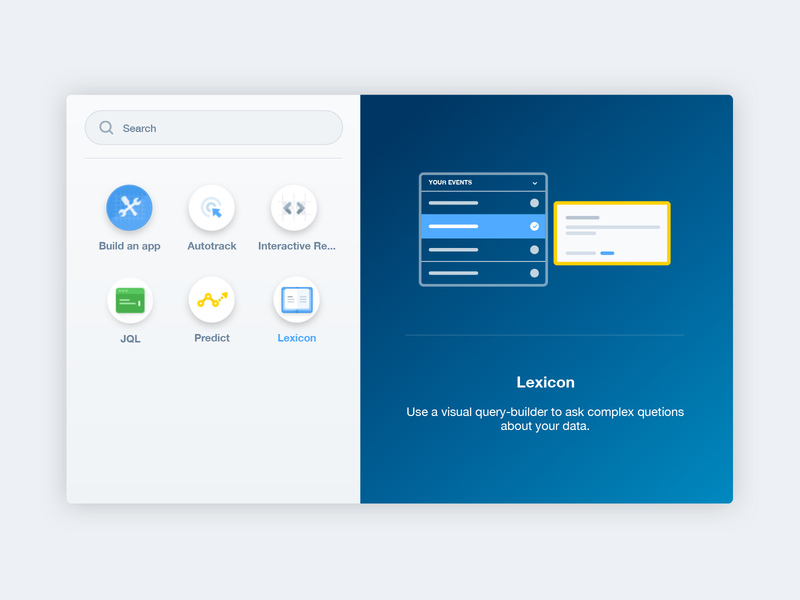 We launched Lexicon with a limited number of customers to validate the idea and get data back on how well our features solved their problems. 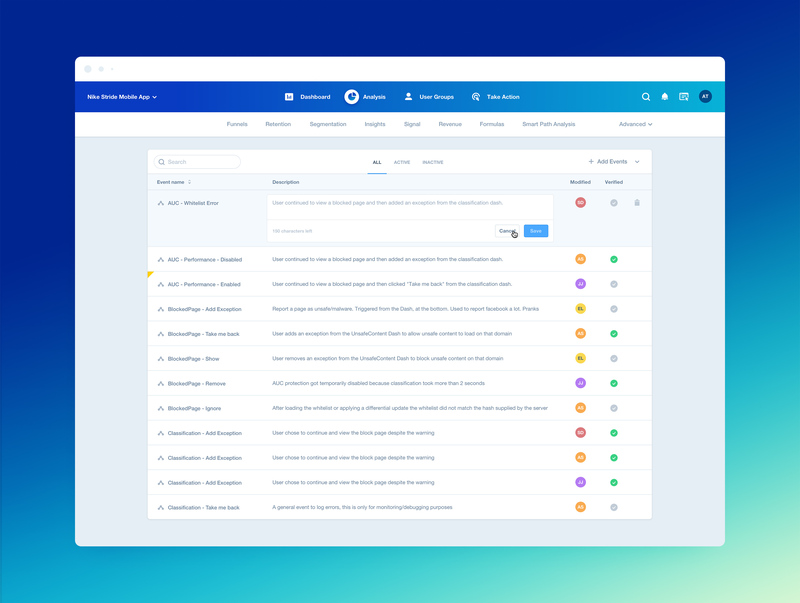 We watched, through product analytics, to learn how these customers used Lexicon in their daily workflows. 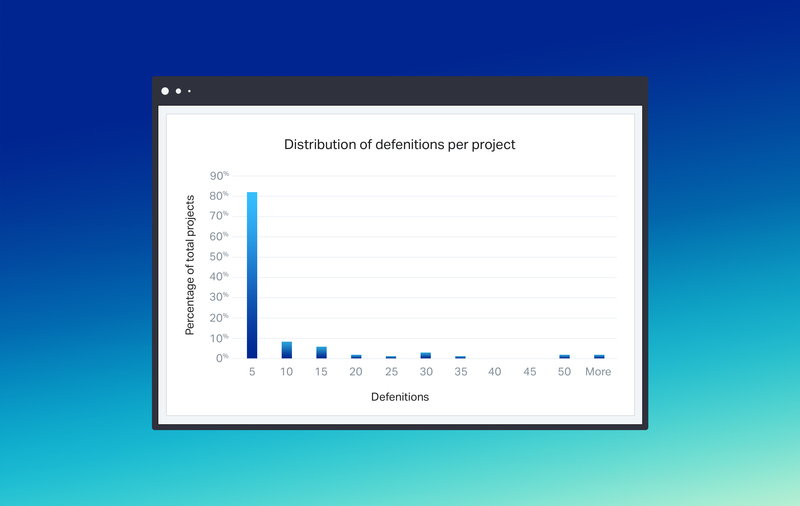 Lexicon usage follows power law distribution: ~25% of users contribute ~80% of definitions, 202 projects initially adopted Lexicon and 865 event definitions added.